Convert your Magento store to multivendor Marketplace. Module provides seperate vendor management area. Add reviews and feedback system for Vendors in marketplace. BEST magento marketplace module in least possible price! Separate section for managing Vendors including their commissions, avatars, transactions etc. Allow vendors to save their paypal and stripe details into their profile. Magemo Mobile App for your Multi-vendor Marketplace stores. See why our customer loves us! Got a question in your mind? New User? Read the installation instructions and Manual of magento marketplace module. Admin can set default ROLE for vendor from configuration. Admin can update layout of product page and place Seller Information block of product page in Left Sidebar, Right Sidebar or Content. Vendor can setup free shipping for their products. Admin can also manage vendor blocks for home page through CMS end (M2). Separate section for Vendor Listing of Products (M2). Vendors listing by product search, all the vendors based on particular search for a given product will be listed together (M2). Admin can anytime enable/disable “Medma Messaging Extension” from backend. This Messaging feature lets the customers to reach their vendors more easily (M2). Feature of seller registration for new sellers through “Seller Registration Page”. Admin can anytime enable/disable seller registration page from back-end (M2). Allow vendors to save their paypal and stripe details into their profile (M2). "Free Lifetime upgrade for our Customers". Magemo Mobile App for your Multi-vendor Marketplace stores. Don't forget to add Mobile App to your shopping carts before checkout (M2). Click on Buy button to purchase Marketplace Module and build your own marketplace with the most advanced features. This is really very easy and powerful Magento Extension. Also thanks for provide this extension as free. I use this for vendor system , it is good working in 1.7.2. Everything is working as described. Code is clean. I need different features, like that shop-users can be vendors. In this extensions the vendors are some new type of admins. I hope I can easily change that. Thanks for sharing the extension. Great work...! You have done great work to build this extension. Thanks a lot to solve my problem. We can cusomtize magento marketplace module as per your specific requirements. 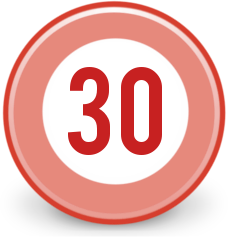 Do not hesitate to ask for adding or removing any number of features in it. Our Marketplace module in Magento is one of the best selling marketplace module in Magento community. 1) An e-commerce webstore can sell products from different vendors. 2) Customer can choose the products by verifying the profile of vendors. The management of multiple vendors in the Magento Marketplace module is taken care by maintaining a balance sheet of the amount credited, debited and net in the admin section where admin can also fix an amount to be charged as commission from the vendor. Every vendor has the facility to add his products on the webstore i.e. every vendor would have limited access to admin section where in the vendor can create, update, delete and disable the products as per needs. If a customer places an order having products from multiple vendors, then each vendor will individually receive the order of their specific ordered products, so one vendor would not be able to see the ordered products of other vendors. In our Marketplace module, we have maintained vendor's profile page with their reviews and ratings, so the customer can choose best seller out of many. The customer can give feedback on their bought products, so not only other customer gets help, but admin can also review the seller. On the vendor profile, there are several basic information like vendor's shop name, contact details and profile picture etc. There is also list of products from particular vendor's on their own shop and customer can find the best selling product of that vendor on their profile page. The Marketplace extension is developed using similar code that magento follows in the core system, following the coding standards that Magento supports. Our Marketplace module also has a very useful addon which is called Medma Paypal Adaptive Payments extension. We have created this module by which will spilt the payment between Admin and the seller. Why to choose Medma Magento Marketplace Module? Magento being such a huge open source ecommerce platform, carries out a possibly every function that can be carried out on an ecommerce website. There are a lot of extensions available on the Magento Connect [Magento Extension Marketplace] which adds up to the existing functionality in magento. 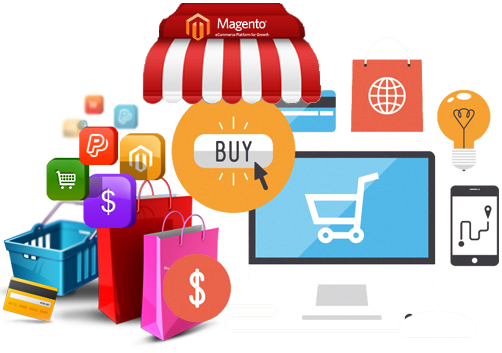 There are some extension which focus on multi-vendor functionality which enhances the functionality of magento giving it a completely different look adding up to the features like selling products from multiple vendors and managing vendor specific orders in the admin. The reason as to why this market place module is being developed, here we maintain all transaction for admin to manage multiple vendor effectively. We maintain vendor profile too, so not only customer can trust on that vendor, but an admin can be aware of what's happening with different vendors and admin can maintain the quality of their own web store. Customer can also take part of making the webstore more secure as buyer. "Magento Marketplace Extensions - Magento multi vendor marketplace module" helps to create your Magento store into a marketplace website . How Magento Marketplace Module Works? Under the marketplace module the admin section has the utmost power or authority as what you expect being an admin of a multi vendor marketplace. In the admin section an admin has an access over manage products, manage categories, reviews and ratings under catalog option; Oders, Invoices, Shipments, Credit memos, Transactions, Billing Agreements, Termas & Conditions and taxes under sales option. Through manage products option an admin can add new products to the multi-vendor store. Similarly, through manage categories an admin can add new categories of products to the store. Under review and rating and admin can check the status as well as change the status of reviews done by the customers. He has the access over ratings of various shops and their products too. Admin can add or change the list of verification proof that will be display at the front end when vendor send request. This functionality ask vendors to upload their original verification document for admin verification. After this verification, the vendors are allowed to login into the admin section using their own username and password. The balance sheet in the admin shows all the transactions that took place with the respective vendors. As the payment from the customers were received by the admin so the admin can also see how much he has to pay to the respective vendor. Once the admin clicks on a particular vendor name, an Add Transaction button appears, clicking on it will open a form with the alredy filled up amount to be paid to the vendor. He can proceed with the payment with the selected payment type method from the drop-down provided in the form. Admin has the authority to set the commission for each vendor. This commission transfer management will be done automatically and is reflected in the balancesheet. The admin can also keep an eye on the status of the products order through the pending product option under the medma>marketplace>pending products otpion. In order to create a profile as vendor a reuest to be registered as seller can be sent from the front end of the marketplace site to the admin. The admin after verification may or may not accept the request. After log in, a Vendor(s) will see their account section, where they can change their profile picture, shop name, message, contact details and other details which would be visible on the frontend in their profile section. In the Manage Products section, the vendor(s) will be able to add, edit, delete and disable their own products. Vendor(s) has no auhority to enable any of their product. Similarly, in the Orders section, they would be able to see their specific orders. In the transaction section vendor(s) can see their own balance sheet, including all their transactions based on orders. In the review section for vendors, they can see their own revies given by the customers. If they want they can also change the status of their review. Under the configuration section for vendors, they can set different settings related to their marketplace. In short vendor(s) also have similar authorities as like of the admin but with a limited access. The front-end section is the section where all the products along with their vendors are displayed. Customer can add those products to their cart or to their wishlist for later consideration. At the checkout customer(s) has to fill in their basic information such as their name, address, payment method, etc. for the product delivery. Customers can see the reviews from vendor profile and can also give their feedback from My Account > My Orders section. Customers can review and rate vendor product, which was ordered. These reviews will are displayed on the profile page of the vendor. Customer can also add vendor(s) to their favorite vendor list. Today as the market is being online, there are a lot of stores for particular products, now it is feasible if a customer gets most of the products from the same store rather than visiting different stores specific to his needs. These marketplaces can themselves act as a platform for selling variety of products to customers. This Marketplace module in Magento has a healthy future as today there are very few magento extensions which provide the functionality of a market place. This marketplace module gives such a huge functionality for vendors to maintain their products with different web stores. This marketplace module in Magento will simplify the process of maintaining account of vendors for the admin. We can customize Magento marketplace module as per your specific requirements. Do not hesitate to ask for adding or removing any number of features in it. Product : Medma Magento Marketplace 4.8 stars, based on 5 reviews Regular price: $299.00 $299.00 Buy now!